The American TFP > Catholic Perspective > How Advantageous is the Indissolubility of Marriage? 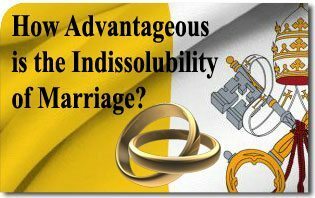 How Advantageous is the Indissolubility of Marriage? Indeed, how many and how important are the benefits which flow from the indissolubility of matrimony cannot escape anyone who gives even a brief consideration either to the good of the married parties and the offspring or to the welfare of human society. First of all, both husband and wife possess a positive guarantee of the endurance of this stability which that generous yielding of their persons and the intimate fellowship of their hearts by their nature strongly require, since true love never falls away. Besides, a strong bulwark is set up in defense of a loyal chastity against incitements to infidelity, should any be encountered either from within or from without; any anxious fear lest in adversity or old age the other spouse would prove unfaithful is precluded and in its place there reigns a calm sense of security. Moreover, the dignity of both man and wife is maintained and mutual aid is most satisfactorily assured, while through the indissoluble bond, always enduring, the spouses are warned continuously that not for the sake of perishable things nor that they may serve their passions, but that they may procure one for the other high and lasting good have they entered into the nuptial partnership, to be dissolved only by death. 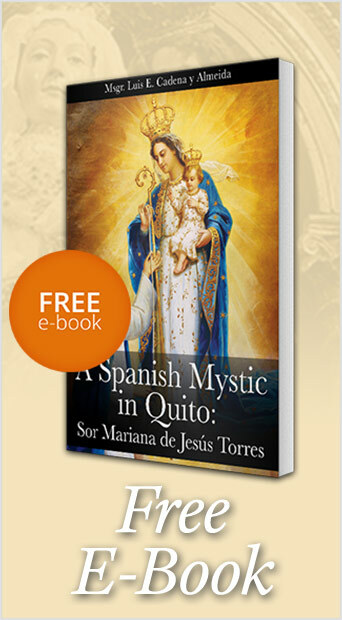 This entry was posted in Catholic Perspective and tagged benefit, Casti Connubii, Catholic, Chastity, Encyclical, faith, human, husband, Indissolubility, marriage, Matrimony, Pius, Pope, society, wife by Pope Pius XI. Bookmark the permalink.